Tube of Choice- I am using a cute puppy tube from Maryline Cazenave! You can purchase this and other great tubes at CDO. Filter used- I used Mura's Meister Copies Wall Paper(Perspective) I don't have a link for you tho...sorry. Open your mask, Layers New Mask Layer from Image, scroll down to find your mask and hit ok. Layers Merge Merge Group. Open LHDScrapsValentine1-ele27 Image Resize and change the width to 600 (the height will automatically change for you) and then hit ok. Copy and paste as a new layer. What I did is, I duplicated this and on the bottom layer I added a dropshadow and the top layer I did Adjust Blur Gaussian Blur 3.00 then changed the blend mode to soft light. With your top layer active, Layers New Raster Layer and choose a color from your tube. I chose the color from the glasses. With your Flood Tool active, flood the layer with your choice of color. Selections Select All Modify contract 8 and hit the delete key once on your keyboard. Open your tube and copy and paste as a new layer. I move mine to the left. once you have your tube where you want it activate the bottom layer Selections Select all activate your tube layer Image Crop to Selection. Layers Merge Visible, put on your ©copyright info and License # and Name and you are done! Whoooo Whoooo!!! Misfit Winter Fun Blog Train is leaving the station so hop on board!! 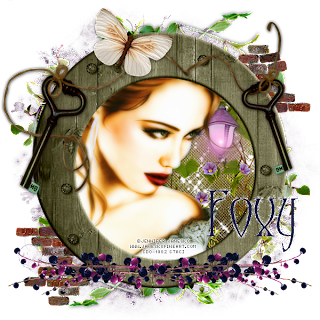 I am so excited to be part of this fab blog train put together by some of the Misfits. There are lots of goodies for you to snag, including scrap kits, templates, masks, textures, cluster frames and much more. And now for the rest of the blog train!!! Have fun, Leave some love and Happy Tagging Everyone! Open paper-6 and copy and paste as a new layer. Open bonsai and copy and paste as a new layer. I scooted it down toward the bottom of the tag. Open bench and copy and paste as a new layer. I moved to the bottom of the tag. Open sweetpea and copy and paste as a new layer. I moved to the right and moved so it was above the mask layer. Once happy with placement Layers Duplicate, Image Mirror Image Resize 85% all Layer NOT Checked. I had to erase a bit of the bottom of this. Move this above the mask layer. Layers Duplicate Image Mirror Image Flip and move up a touch. I erased the stem showing. Tube of Choice- I am using the beautiful artwork of Anna Marine. you can purchase this or other great artwork at CDO. Open AD_Paper8 and copy and paste as a new layer. I moved it down to get the moon and part of the leaves on my tag. Once happy go the the bottom layer (you will be doing this alot) Selections Select All click on the paper layer Image Crop to Selection. Layers New Mask Layer from Image Scroll down to find your mask and click ok. Layers Merge Merge Group. Open your tube (I used the close up tube) and copy and paste as a new layer. I moved mine to the left. Once happy with your placement, Activate the bottom layer Selections Select All Click on the tube layer Image Crop to Selection. Open AD_Circles and copy and paste as a new layer. I chose to have this above my tube layer. Move to where you like it once happy, Layers duplicate Image Mirror Layers Merge down. Activate the bottom layer Selections Select All Click on the Circle layer Image Crop to Selection. Open AD_Twig and copy and paste as a new layer. I moved this behind my tube and dowm to the right. Once happy with it Layers Duplicate, I put a drop shadow on the bottom layer and on the top layer Adjust Blur Gaussian Blur 3.00 and changed the Blend Mode to Soft Light Layers Merge Merge Down. Activate the bottom layer Selections Select All click on the twig layer Image Crop to Selection. Open AD_Flower2 and copy and paste as a New Layer. I moved this behind the twig layer and down (See my tag for my placement) once happy with it, Activate the bottom layer Selections Select All Click on the flower layer Image Crop to Selection. Open AD_Branch Image Mirror and Copy and Paste as a new layer. I moved to the right Layers Duplicate I added a dropshadow to the bottom layer and the top layer added the Gaussian Blur Layers Merge Merge Down Layers Duplicate Image Mirror Layers Merge Merge Down. Activate the bottom layer Selections Select All Click on the branch layer Image Crop to Selection. I did this with the top layer active...Better to see the placement. Open AD_Sparkles and copy and paste as a new layer. I moved it to the left and then Layers Duplicate Image Mirror/Flip and Moved it around to get what I liked...Once happy with it Layers Merge Merge Down then Move this below your mask layer, Activate the bottom layer Selections Select All click on the sparkle layer Image Crop to Selection. Open AD_Paper3 and copy and paste as a new layer Activate the bottom layer Selections Select All Selection Modify contract 8 and hit the delete key on your keyboard once and you have your frame. Activate the bottom layer Selections Select All click on your frame layer Image Crop to Selection. All that is left (and the most important to do) put on your ©Copyright info and License# and name and you are done! Thank You for doing my tut and I hope you tried something new! Open Paper11_FD and copy and paste as a new layer. Open your mask, Layers New Mask Layer from Image scroll down to find your mask and hit ok. Layers Merge Merge Group. Open Element48_FD and copy and paste as a new layer. Activate your paper layer and hit the delete key once. Do the save for everything under the frame (minus the mask layer) once everything has been done Selections Select None. Activate the top tube layer Adjust Blur Gaussian Blur 3.00 and change your blend to Soft Light. With your top layer active, Open Element1_FD and copy and paste as a new layer, I moved it to the right and moved down below the frame paper layer, Layers Duplicate and with my mover tool I moved to the bottom right. Activate your top layer, Open Element9_FD Image Resize 600X105 and copy and paste as a new layer. Move to the bottom of the frame and to the left, Layers Duplicate Image Mirror. Open Element21_FD and copy and paste as a new layer. Move to the top of your frame, Layers Duplicate Adjust Blur Gaussian Blur 3.00 and change blend mode to Soft Light. Once happy with everything Layers Merge Merge Visible. I like my tags 600X600 so I resized all layers. Add your ©Copyright info and your license watermarks and number. 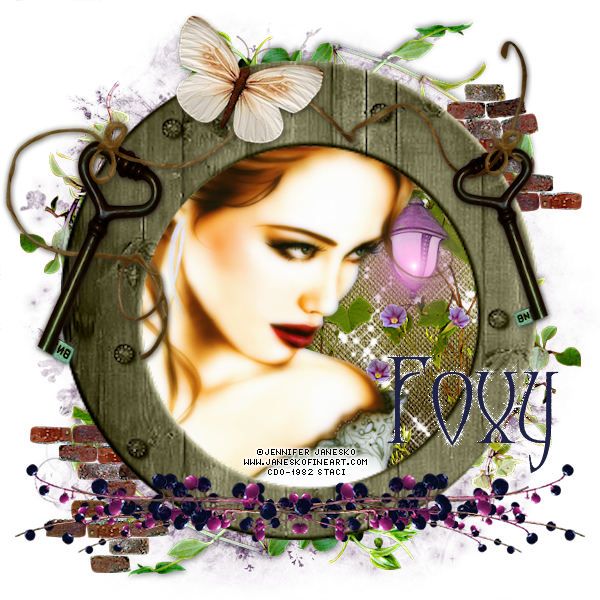 Scrapkit used- I am using a Beautiful FTU kit by LadyHawwk. You work magic Cathy! Open LHDMisfValExclFrame2 Image Resize 650X650 and Copy and Paste as a New Layer. Open LHDMisfValExclPaper3 Copy and Paste as a new layer Selections Invert and hit the delete key once on your keyboard Selections Select None. Move below your frame layer. frame and paper down depending on the tube. Open LHDMisfValExclElement31 and copy and paste as a new layer. I moved to the lower right hand side of the frame. Layers Duplicate Image Mirror/Flip so it is on the upper left hand side of the frame. Merge these together and move below your tube. Open LHDMisfValElement3 Image Resize 650X148 and copy and paste as a new layer. Move this layer above your tube layer and down so it is covering the bottom part of your tube. Open LHDMisfValExclElement5 and copy and paste as a new layer. Move to the bottom of the tag to where you like it then Layers Duplicate and move to the top where you like it. Once you are happy with the placement merge these together and move to below the paper in the frame layer. With your top layer active (so you can see) Open LHDMisfValExclBow6 and copy and paste as a new layer. Move to the left so it is over your frame Layers Arrange Move to Bottom once happy with your placement Layers Duplicate Image Mirror. Once you have everything you want on your tag Layers Merge Merge Visible. I like my tags at 600X600 so I Resize, add your © copyright info and License# and Watermark and that is it!